At the request of the Humboldt County District Attorney’s Office, a judge today dismissed the assault case against Eureka Police Sgt. Adam Laird. “Based on new evidence the people have discovered, we don’t believe we can prove this case beyond a reasonable doubt,” Humboldt County Deputy District Attorney Roger Rees told the court. Immediately following today’s hearing, Rees said his office had a pair of independent experts review a video tape of Laird’s Dec. 6, 2012 arrest of a juvenile suspect and, based on their opinions, decided it should dismiss the charges. For his part, Laird said he’s relieved the criminal charges have been dismissed but he was in no mood for celebration. Prosecutors had alleged that Laird used excessive force during a Dec. 6, 2012 arrest – kicking a juvenile suspect as he lay on the ground being handcuffed by another officer – and that he then filed a false police report on the incident. Laird pleaded not guilty to misdemeanor charges of assault under the color of authority and knowingly filing a false report in the case and, through his attorney, argued that he was being discriminated against by fellow EPD officers and singled out for prosecution because of his political activities and his staunch support of controversial former EPD Chief Garr Nielsen. Hired by EPD in 2005, Laird has been on paid administrative leave since Dec. 16, 2012. While he was served by the city with a notice of intent to terminate his employment on Oct. 3, 2013, the city has yet to officially fire him. Prosecutors’ decision to dismiss the case comes just a couple of weeks after Humboldt County Superior Court Judge Marilyn Miles ordered the DA’s Office and EPD to compile and turn over a host of documents, including citizen complaints, internal affairs investigations and correspondences between a host of EPD commanders and city officials. With the ruling, Miles found that Griego had shown enough evidence of the essential elements for a discriminatory prosecution defense to warrant granting access to the documents that would allow the defense to explore the issue. The Dec. 6, 2012 incident occurred after Laird and other officers responded to a call of a gang fight in progress and ultimately wound up in a foot chase with a juvenile suspect. An officer had the suspect on the ground and was working to cuff him when Laird arrived and struck the suspect in the lower back with his foot. Prosecutors alleged the foot strikes were excessive and unwarranted, but Griego contended his client acted appropriately in dealing with a combative, dangerous and noncompliant suspect. Griego has contended from the outset of the case that Laird – who rose quickly through the ranks of EPD amid what some have deemed an insurrection mounted against Nielsen – was being unfairly targeted by his fellow officers, both because of his allegiance to Nielsen and his support of liberal politicians. Further, Griego argued that EPD kept evidence showing Laird’s innocence from the DA’s Office and that the department handled the case dramatically differently than it has handled other excessive force allegations in the past. Laird himself was at the center of at least one of those prior allegations. In 2011, a federal jury found Laird and another officer used excessive force when arresting Martin Frederick Cotton in 2007. 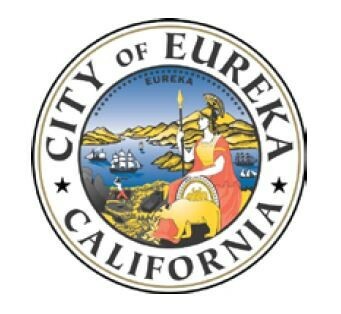 Cotton died shortly after being booked into the Humboldt County jail, and the case resulted in a $4.5 million judgment against the city of Eureka and a $30,000 judgment against Laird. During today’s hearing, Public Defender Joanne Carter attempted to address the court, saying she represents the juvenile Laird was accused of assaulting in the case. Carter said the victim was never notified of the decision to dismiss the case, which is a violation of his rights. Judge Marilyn Miles told Carter that would have no bearing on the dismissal, and asked Carter to contact the DA’s Office to voice her concerns. While Laird declined to comment on exactly what his future might hold, Griego said it will likely include a lawsuit if Eureka follows through with plans to fire him.